Commentary :: Thanks for being my big sister! Thanks for being my big sister! Before I begin, I’d like to share something my wife’s brother mentioned to my wife last week. Vanya has a young family with just one child, a three-year-old daughter. He said to Olia, “If I had my way, I’d prefer to have four or five children. Just look at Kevin’s family. See how well they’ve come together to support each other in difficult times. That’s the kind of family I want for my children!”… As I look around our extended family gathered here today, I know I couldn’t have said it any better. Let me begin by saying thank you to Uncle Tom for offering to host us at his home today, and with the risk of a thunderstorm, thank you to Jeannie and Fred for bringing Plan B together so well and so quickly. This is ‘family’ performing at its very best. Thank you for joining us as we gather to celebrate Karen’s short but very productive life and her meaningful contributions to those whose lives she touched, including our own. We can’t talk about Karen without mentioning her love of reading. One of the books I stole from Karen’s shelf last month was a collection of short stories. Inside the cover was written, “Karen Graham, 487 Lancaster, Bridgeport, Ontario.” We moved from that tiny house way back in 1968. This particular book was catalogued as No. 133. That number grew over the years, to some 4,000 books, grouped by genre, and within each category, ordered by author. Equally impressive was the wide array of subjects covered in her collection. Books on faith, on women’s issues, Canadiana, politics and philosophy, cooking, science fiction, classical literature, one called ‘How the Scots Invented the Modern World’ (a book her sticky fingers lifted from my own collection last Summer)… and of course, many books on health. I did not bring back her compendium on pharmacology. If Dorothy and Toto had been anchored to that one, they never would have left Kansas. When Karen came to visit, one of the first things she’d ask was, “what have you been reading lately?” She’d grab a book… or three… and sink into the most comfortable chair in the house, sipping her tea… with lemon… and read. Over the years, I learned the importance of declaring which books were free for the taking and which books were not to leave the premises. Clearly, Karen held a unique understanding of the words, “not to leave the premises”. I’ve been looking for my Norton’s Anthology of English Literature for years, and only recovered it this July when Brad and Kim were in Yellowknife, sorting through her books. When the remaining five siblings gathered in Yellowknife in late August, the majority of Karen’s books had already been donated, but I still found a dozen books originating from my own collection. What’s not clear, then, is how many of those 4,000 nicely organized books she actually bought and how many she had ‘liberated’ from the homes of siblings and friends… So, if you’re missing a book, and Karen’s been to visit, you may find it at the women’s shelter she supported in Yellowknife, in what soon will be dedicated as the Karen Ann Graham Memorial Library. During Karen’s annual visits, we would sometimes play a game or two of Scrabble. She was a stickler for the rules of Scrabble – no proper names, no slang, and absolutely no abbreviations. I suspected that she won these games so regularly because she must have memorized the entire listing of acceptable two-letter words. During her last visit, I challenged her on one of these, arguing that, unless she knew the meaning of a word, she couldn’t use it. She just smiled and, poking her finger repeatedly into my chest, answered, “Show that to me in the rules! If it’s in the Scrabble book, it’s fair game.” Of course, she was right… Scrabble was not a search for meaning. It was just a lightweight mental exercise to pass the time while drinking tea… tea with lemon, of course. Fidgeting as I contemplated my task, I picked up Karen’s Scrabble dictionary. Flipping through the book, a loose sheet of paper fell to the floor. On it I found, in Karen’s hand, the complete listing of 101 two-letter words. But… Scrabble was just a game for Karen. She searched for meaning, and found it, in other places – at work, at church, and in her community. Karen possessed what we all wish for our children as they begin to carve out their paths in this world. She carried with her an acute sense of intellectual curiosity. It really didn’t matter what the subject was. She treasured the exploration, the discovery, and of course, the debate that naturally followed. Her understanding of the world was nuanced well beyond the scope of critical thinking, and was amplified by an abundance of cultural sensitivity, and the recognition that the more she learned, the more there was to learn. One more door to open, one more road to take, and yes, one more book to read. Karen was instrumental in the creation, development, and delivery of the advanced training program for nurses in the Canadian North. Without Karen, we’re told, this program would never have gotten off the ground. I asked one of her colleagues how many nurses there are in the Canadian North, and how many of them would have known Karen, or her work. The answers: about 600… and… every single one of them. Whether they knew her personally or not, every nurse in the Canadian North was touched in some positive way by Karen’s efforts. We’ve long known how passionate Karen was about her work, about the North, and about the people of the North. 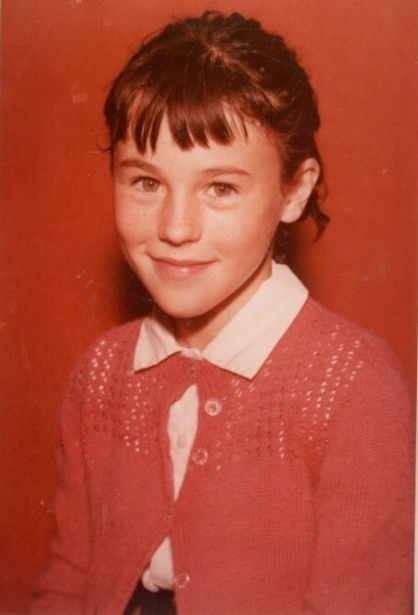 At the same time, we haven’t known a great deal, specifically, of Karen’s life in the North, or of the many people and communities she touched over the past forty-five years. We didn’t know that, at the tender age of 25, she made a cautionary presentation to a national commission on the health impacts of a proposed pipeline in her community. We didn’t know the broad extent of her charitable and volunteer activities… because she never spoke of them. We didn’t know that she stepped in to cover the salary of Hope, an overseas Kindergarten teacher whose program had been cut. We didn’t know that Karen offered up her home as a long term safe haven for a woman facing crisis in her own home. We didn’t know that she was a nominee for the prestigious Queen Elizabeth Diamond Jubilee Medal. We didn’t know the quiet life of faith she led, because it was… just that… quiet. A week before she passed, Karen called me. She wanted to talk. And talk she did! For a half-hour, I couldn’t shut her up. She sounded fine to me, and strong in spirit. Though she was clearly tired, and had some difficulty breathing, she was all there. It brought a smile to my face to learn that, in her final days, Karen broke with protocol and insisted on sampling from a Tim Horton’s coffee, a double-double, I’m told. While unable to eat or drink, she could sip through a straw, rinse… and spit… sip, rinse, and spit… and finish with a smile. Her terms. On the morning of the day Karen passed, a new nurse arrived on shift and referred to her repeatedly as “Mrs. Graham”. After three or four such references, Karen drew the nurse near with a slow curled finger and, in a whisper, corrected, “that’s Miss Graham.” Her terms. On July 14th, Brad and Kim were waiting for us with Karen at the hospital in Edmonton. Ian had been to visit for a few days, with good opportunity to say goodbye. It was important to Karen that each of her five siblings have the opportunity to see her… and to say goodbye. Her terms. True to form, Karen was fully engaged in the management of her own care. Her terms. Case in point: she instructed staff to cut her morphine dosage, enduring extreme pain, but in hopes that she could hold on until the last of us arrived. Her terms. As best she could manage, this departure would be on her terms. Brad guided us quickly through the hospital to her room where it immediately became clear that her time was near. Robert and I sat down on either side of Karen, each of us taking a hand in our own. I leaned over and whispered into her ear… “Thanks for being my big sister.” As I sat back into the chair, she gently squeezed my hand, and a few moments later, she was gone. Her terms. Thank you for waiting, Karen, and thank you for being our big sister. Thank you for being Auntie Karen to our children, and thank you for being you. Now, sleep, big sister, sleep… sweet dreams… and sleep.